I’m 98.5% certain that I’ll never get a tattoo. It has nothing to do with my opinion of them on other people (because my opinion of other people’s bodies doesn’t matter one iota, but for the record – I think your tattoo is fantastic). Or needles (a little to do with needles). 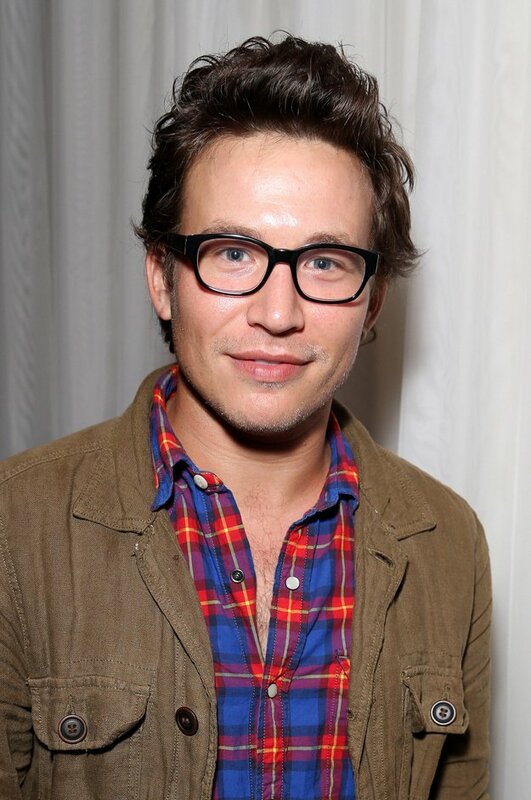 It really boils down to an adolescent crush on Jonathan Taylor Thomas. Growing up in 90s suburbia there were two types of people: people who thought *NSYNC was better than the Backstreet Boys and people who were wrong. Sure, I’ll rock out to a Backstreet Boys jam today but my loyalty still runs deep. There were also two generally agreed upon adolescent crushes, Jonathan Taylor Thomas and Devon Sawa. You couldn’t go too wrong with this one, because ugh Devon as Casper, melt my 11 year old heart, but I set up camp in the land of JTT. *NSYNC, that other boyband, JTT, and Devon were all regularly featured in Teen Beat, Tiger Beat, Cosmo Girl – all the classics. Teen Beat had the best posters though and I have vivid memories of going to friends’ houses and their bedrooms being covered floor to ceiling in dreamy teenage love. Not my room though, because while I don’t remember my dad taking a super hard line on a lot, he had a thing about permanence. And resale value. He also had a pretty good understanding about the fickle nature of children. As a result, Pop could not care any less how cute Jonathan Taylor Thomas was, his Teen Beat poster was not getting tacked onto my bedroom wall. Haphazard adolescent tacking would ruin the value of our home and wreak havoc on my parent’s nest egg. I negotiated for tape but that was also against house regulations for fear of peeling paint. If something was going onto your wall it was going on there framed and with a nail carefully placed by an adult. And it would be up there until the end of time. You had to make a real glass/plexiglass/plastic commitment to bedroom decoration. Maintaining the pristine condition of our walls to ensure that my parents would retire comfortably seemed like a lot of pressure on my 11 year old self, but it was a good, albeit a little intense, lesson. This permanence stance wasn’t solely related to JTT posters or bedroom walls. Car bumper stickers were also a no go. I honestly believe that if I was ran for President of the United States my dad still wouldn’t put a bumper sticker on his car. Don’t get me wrong, he would totally vote for me as long as I was running on a fiscally responsible platform but I could not count on him for an advertisement on wheels. I was taught that once a bumper sticker was on it would be there for.ev.er, again severely damaging resale. To this day, if I see a car donning a bumpers sticker for a politician who failed to win the office of her/his choosing a little part of my heart dies. For the politician who really was just trying her/his best, for the car owner whose dreams were dashed, and for that poor car who just lost a couple hundred bucks of value in Kelly Blue Book. Living in politically active Massachusetts it’s really a wonder I make it through my commute without eating all the ice cream in despair. All tacks are reserved for cork boards, inconspicuous areas above door frames for birthday decoration purposes, and holes left by the previous home owners. We have canvas prints for a gallery wall that might be put up in 2024 because I have a paralyzing fear of the permanent marks the nails will leave when I inevitably mess up the placement of said pictures. So, yeah… putting a very permanent tattoo on my body doesn’t seem likely in my future. I have friends and family members with gorgeous, meaningful tattoos and they are awesome. But for me, Jonathan Taylor Thomas will have to stay in a small frame that can easily be removed from my nightstand. I thought about explaining that last sentence more, but let’s just leave you deciding whether or not I have a picture of present day JTT on my nightstand. That feels more fun. Let me guess… 2000s…. so Joshua Hartnett and Ryan Phillippe? Not ashamed to admit Joshua Hartnett stickers decorated my calculator cover through most of high school. My pops let that slide. There are millions of stories about child abuse. This has been one of them. Oh, my goodness. This is the most hysterical and perfect explanation for a tatooless body if I ever heard one. 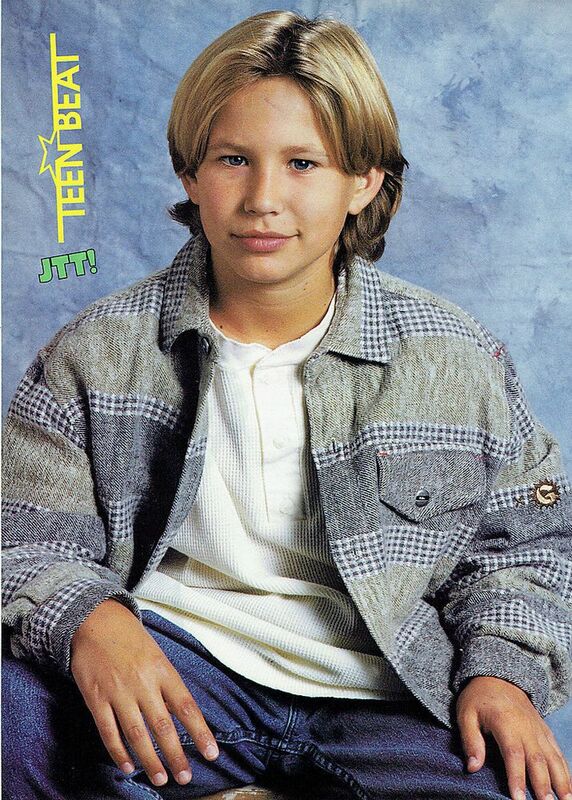 Also, who DIDN’T have a crush on JTT in the 90s? I was only 6 and swooning. The swoon worthiest! Thanks for reading! And if you don’t have tattoos and find yourself in a situation where you need to explain yourself, feel free to use this. There’s no patent on it. My husband has this nice little response he likes to use when people ask if he ever thinks he will get a tattoo, and I feel like it is extra appropriate right now given your bumper sticker stances. Just what I needed! Totally in the JTT camp and I desperately did my best to convince my sister that ANYONE else she could “claim” except for JTT. I also could not put posters up on my walls and instead kept a binder of JTT articles and posters and OMG I now realize how creepy that is… JTT, *NSYNC, with a bashful dose of Hanson were my adolescence. This is exactly why I cannot take Carson Daly seriously on the Today Show. TRL forever. I need to go back in time and learn was blue tack was as a pre-teen. #regrets. I feel like it is something your dad should have told you about!! Maybe he was worried it’d take the paint off!? Ooooo Hanson. Talk about flow! Ha! Maybe the weight of permanence is a Horan thing? I also have no tattoos. And here I always thought it was just because I was a Gemini and could not commit. Jk. Lol! Haha! That reminds me – I need to check in with you about all my different signs. So intrigued! Preteen me is insanely jealous of your preteen metal closet doors! The second hand embarrassment is REAL! You’re writing style is awesome (very funny but practical message). Personally, I agree with you in one sense but will be getting tattoos. I agree that a tattoo is a long term art choice and can’t be entered into flippantly, but I also feel that there have been certain events in my life, or recurring messages, that I want to remember forever–so much so that I would be willing to put them onto my body. Absolutely! I think tattoos on other people are great. I love the stories and the artistic expression. Just for me, all I can think about are JTT posters. 🙂 Thanks for reading! Don’t have to have a tattoo to have great memories. HA! I am actually laughing out loud. I would argue that “LOL” is the most widely told lie of the last 10 years, but today it is true. Also, I was absolutely that girl with Teen Beat plastered on my walls, though I too couldn’t use anything permanent. I used this blue sticky stuff – “sticky tac maybe? ?” that lasted for about 5 hours and then fell down. Nevertheless, Teen Beat and glow stars were my decor of choice. Also – I am right there with you on the bumper sticker thing. I also live in MA; my drive to work on the Pike should be accompanied by tiny little violins lamenting the disappointments of the politician, the supporter, and the poor car. 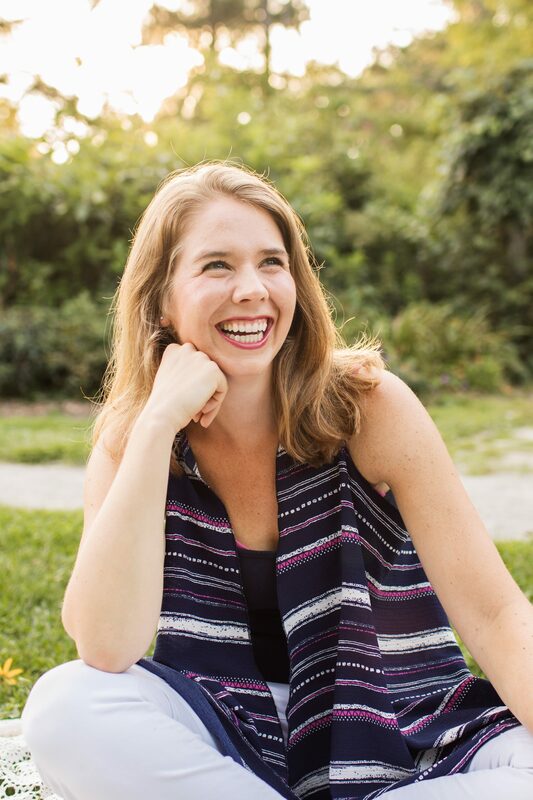 Just started following your blog. Looking forward to the next post. Hahaha the tiny violins! Thanks for reading and following! Massachusettites unite! That’s awesome – thanks!! Comments like this brighten my day! I think it’s a little unfair to blame this on JTT. Isn’t it really Chuck’s fault? I bet Mr. Taylor Thomas would totally support your getting a tattoo. I’ll ask him about it during our next phone chat. When you do, also ask him where he got the zip up he’s wearing in the above photo and if they have it in husky adult man size.